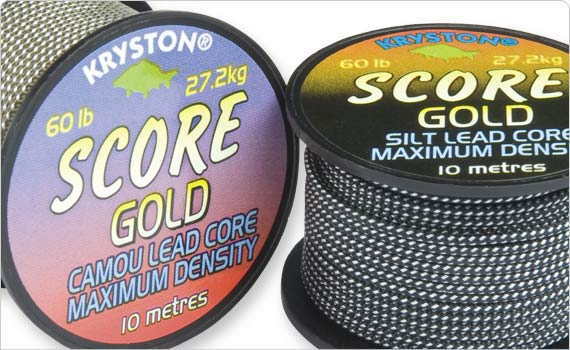 This leadcore material features an abrasion-resistant and easily spliceable sheath, is extremely heavy and virtually disappears on the lake or river bed. Individual shades darken down when wet to blend perfectly with their respective backgrounds. Fast sinking, reliably strong, easy to splice. Extremely supple due to the soft lead core. Hugs the bottom and follows its contours. Splicing leadcore produces an extremely neat joint which is stronger and far more streamlined than any knot. Exhaustive breaking strain tests have shown that a spliced section of approximately 30mm is sufficient to obtain maximum join strength. IThis new superb flecked, ultra supple CamFlex Plummet leadcore offers excellent camouflage as the broken flecked pattern breaks up the visual solid line of the leadcore and helps each colour leader material blend more effectively into the natural aquatic environment. Unique, tightly woven braided outer structure with a core that has been chosen to give the perfect balance between diameter and weight yet still maintaining a degree of suppleness. Easy Splice MEGA WEIGHT LEAD CORE. Undoubtly the worlds strongest and heaviest Lead Core. For the many who have previously suffered with the problem of lead popping out there is no such worry with Score Gold. For the first time you have the luxury of using heavy indicators without spoiling presentation. Its immense weight allows you to tension the line without lifting half the leader off the bottom. Construction has been given the highest priority. Woven High Tenacity Polyester blended with pure Dyneema fibres ensure this durable leader stands up to constant recasting with little sign of wear.